The Sedalia Ragtime Orchestra plays music from the ragtime era, spanning the years 1897, when the first instrumental rag, “Mississippi Rag,” was published, until 1917, when recordings by the Original Dixieland Jazz Band ushered in a new era of popular music. Occasionally we will venture into more current works, such as music from the 1998 Broadway show “Ragtime,” but for the most part, we focus on original arrangements of songs as they were heard in America a century ago. Although our home base is in Thousand Oaks, California, our name comes from the town of Sedalia, Missouri, where Scott Joplin (1868-1917), “The King of Ragtime,” made his home at the start of his career. 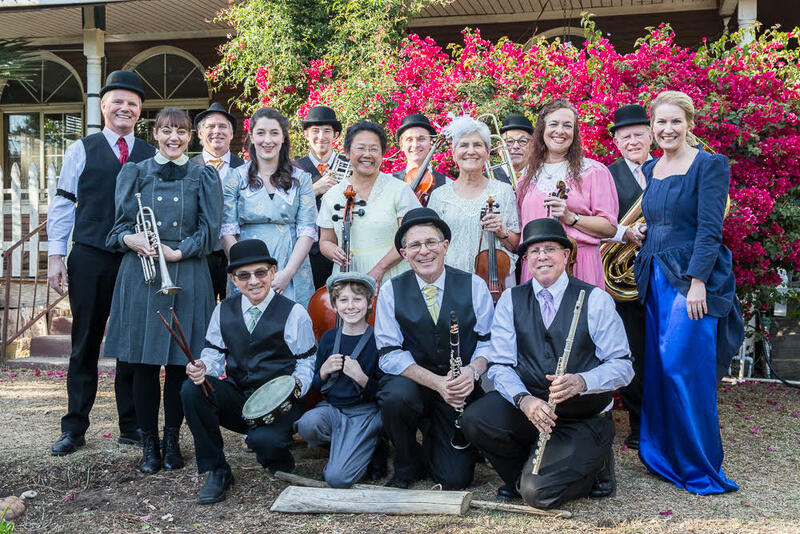 Our repertoire includes not just rags, but marches, waltzes, show tunes, vaudeville songs, novelties, spirituals, and dance numbers from the era as well. We hope you enjoy our site!